In today’s world of instant messaging, we can become sloppy with our email etiquette. Even with Linkedin and other new communication platforms, email still holds fast as the primary and most official means of communication in the corporate world and the World Wide Web in general. I have compiled a list of my favourite email etiquette tips for job seekers or anyone wanting to make sure they leave a good impression. They are divided into how to be Clear, Corporate and adept at Communication. You don’t know how many dozens of emails your recipient has dealt with since your last communication. It can, therefore, be very helpful to them to restate the pertinent points of your last email so they don’t have to go digging through their inbox. Make your subject line as specific and concise as possible. For job seekers, include the job title and/or reference number when applying for a job. It may also be helpful, in certain situations, to list an attached document in the subject line if that is the main purpose of the email. Use a maximum of two fonts; one for headings and the other for the body. Any more and your email could start looking unprofessional. Stick to a black, dark grey or dark blue general text colour. You can set your default text style in your email settings to keep all your communication consistent. These common formatting options can do wonders for the readability of your email. There are proper and improper ways to use them. Bold is used to draw attention to an important word or phrase. These would hold important information for the reader to take note of such as dates and times. Italic is used to put emphasis or stress on how a word is read. You should use italic instead of ALL CAPS because ALL CAPS constitutes SHOUTING which is very unprofessional. Underline is also used to point out important information. However, it is often confused with a hyperlink (which I will cover shortly), so prefer the previous two. Remember that if everything is emphasised, nothing is emphasised. Don’t go emboldening or italicising entire paragraphs or you will lose your impact and tire your readers. This is a hyperlink if you didn’t know. You use them all the time when browsing the internet, but did you know you can just as easily create them in your emails? It is a much neater way of adding a website URL to your email. Instead of a long, clumsy link such as “Here’s the location of CA Financial Appointments: https://www.google.co.za/maps/place/CA+Financial+Appointments/@-33.9357028,18.4723606,15z/data=!4m5!3m4!1s0x0:0x8f15eec494bfb963!8m2!3d-33.9357028!4d18.4723606 ” you can simply put “Here’s the location of CA FInancial Appointments“. Simply copy the URL of the webpage, highlight the text in your email that you want to turn into a hyperlink, click the little chain link icon, paste the link and click ‘OK’. The cliche “A picture paints a thousand words.” is true. While visuals are not the most professional first impression, visuals such as screenshots with an explanatory purpose can make communication much more efficient. On the screen that you want to take a screenshot of, press the Print Screen key. You can then paste that image into an email. If you want to capture only a portion of your screen, use the built-in Snipping Tool Application. You can also use this tool to quickly annotate the image you capture before you copy it into your email. Press Shift-Command-3 to capture a screenshot of the entire screen and have it saved to your Desktop. Press Shift-Command-4 to capture only a portion of your screen and have it saved to your Desktop. Here are more detailed instructions. A GIF is a small, short, looping animation. If you want to be extra fancy and you really need to show someone how to do something you can create and paste a GIF of your screen into your email. You can use a tool like Gyazo to create GIFs and normal screenshots. Use “Dear …”, “Hello …”, or just “Good Day” if you do not know the person’s name. For job seekers, if you do not know who to address your email to when applying for a job you could do some quick research on the company’s website to see if they have a Hiring Manager listed. There are differing opinions on this. One that I like is to err on the side of caution and professionalism by continuing to greet in each reply until the other party stops greeting. It can also depend on how familiar and conversational you become with the other party. Remember our friend Italic above? 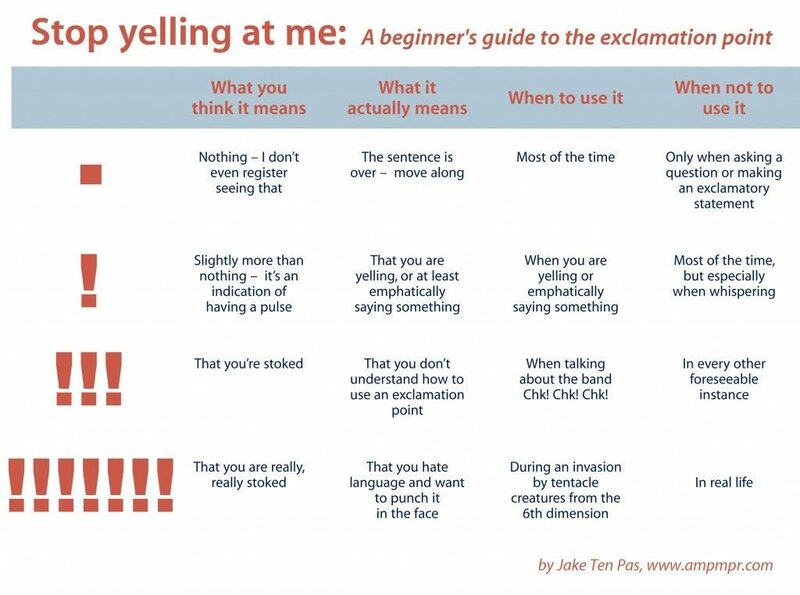 He comes across as firm, yet far less angry than Mr Exclamation Point who is easily misunderstood. Should you really want to use Mr Exclamation Point, you only need one of him and definitely not his friends, %*$&. Emoticons are not professional. Emoticons, however, are a big part of how we understand tone and humour online. You should, therefore, stay away from humour too and keep your tone professional, so as not to have your emails misunderstood. It is important to have a professional email signature that includes all other relevant contact details of yours. Other good things to include are your position at your company as well as your company’s name, logo and website. If your company does not provide you with a properly designed one, you could suggest it. Otherwise, create one yourself. Don’t use lots of fonts and sizes. Keep it clean and simple. Try using your company’s colours for a nice touch. For job seekers, if you are looking for a job and are still using your cutiepie230769@hotmail.com address, please go to Gmail and create a new email address with your name and surname. If you need to, you can receive emails sent to your old address with your new Gmail address. This is where you put the addresses of the people that your email is addressing. Put email addresses of people here who are not addressed by the email but need to see the email and who it was sent to. All addresses in the CC and To fields can be seen by all recipients. The addresses you put here will receive the email, but their email addresses will not be visible to the other recipients. This is very useful if you want to make your recipients feel special by thinking they are they are the sole recipient. It is also polite if you are sending to a lot of people who do not know each other and do not necessarily want the other recipients knowing their email addresses. NB: If you receive an email that you are BCC’d on DO NOT click reply all as this will alert all other recipients that you were copied in on the email, thus breaking the illusion and possibly causing big offence. It is also inconsiderate to choose to Reply All on an email to a large group of people if it is not necessary for those people to know your reply. This will irritate them by cluttering their inboxes. It is important to keep a professional tone in your business emails. 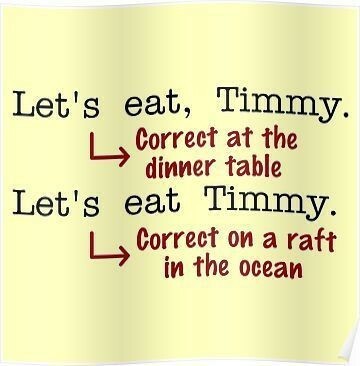 This means using formal language and proper punctuation. It is very important that you proofread all your emails. The short, one-liner emails are maybe the most prone to typos as we shoot them off so quickly. Take a few extra seconds to do a final read through and you will save face. Proofreading is also a very good practice if you are feeling hot-headed when writing an email. Angry emails are very unprofessional. Take a step back, calm down, read through and make the necessary changes. You will come across as more in control and command more respect if you word things strongly and clearly instead of RANTING AND RAVING!!! Grammarly is a particularly powerful spelling and grammar checker that integrates with your web browser. It is more intelligent and thorough than your average Microsoft Word checker in that it analyses the context in which a word is used. English is full of many weird and wonderful expressions and phrases. Writefull is a fantastic tool if you are unsure whether you are using a phrase correctly or if you can’t think of the correct expression for a specific context. It scours Google Books, Google Scholar, Google News and the web in general for the phrase you give it. It can also provide you with an alternative, a definition, a translation or a pronunciation. This wonderful online app analyses how easy your writing is to read. It then gives you colour-coded suggestions for improvement. 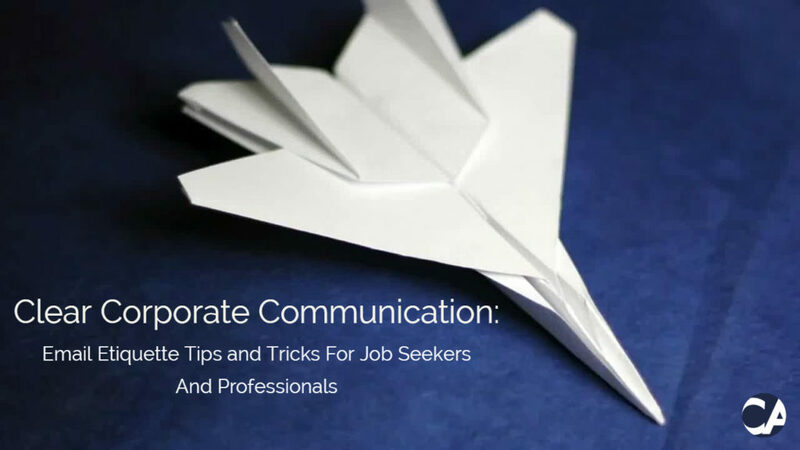 I hope these tips will result in clear, corporate communication and aid your future corporate relationships.